The Bride & Groom Joanna and Scott Worboys, September 4th 2009, The Elvetham, Hartley Wintney, Hampshire. 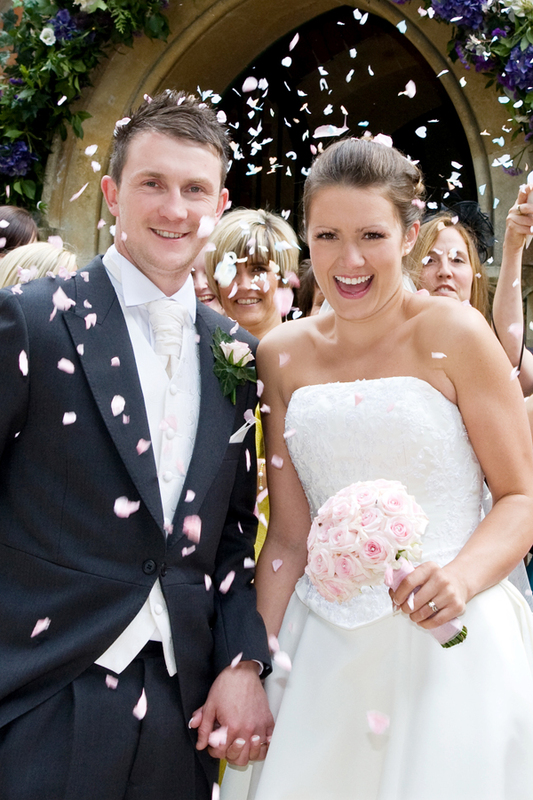 Jo explains – ‘I started planning my wedding from when I was about 5 years old. I know that may sound silly but I always had an idea of what I wanted in my head. ‘My girls planned me an amazing hen day and night. We went to Ascot Race Course for a 5 course meal and champagne lunch. 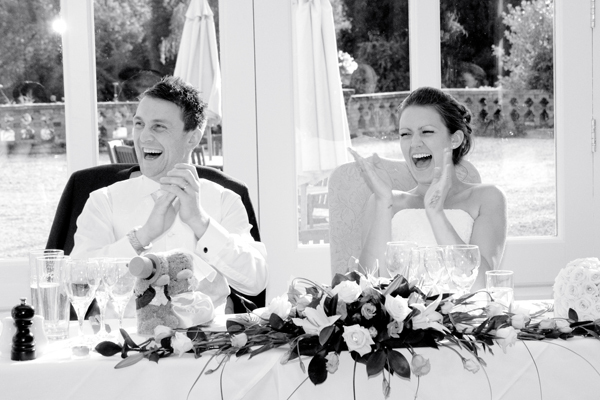 ‘We could not have asked for a more perfect day, everything was just amazing. The weather was lovely although very windy. Everyone was on time and everyone was happy. ‘The Elvetham was the first and only place we looked at. The day we went to view the venue we just knew this was the one for us. ‘Ever since childhood I always knew I would have a horse and carriage as our transport. I was getting ready at the hotel in the morning so it picked us up from there and then took us back after the ceremony. ‘My dress was what I thought quite traditional, semi-plain although some pattern and beading on the corset, and quite big. My train was semi-long and just perfect for me. The bridesmaids outfits were specially made from a drawing I did. ‘The flowers were very simple although very effective. 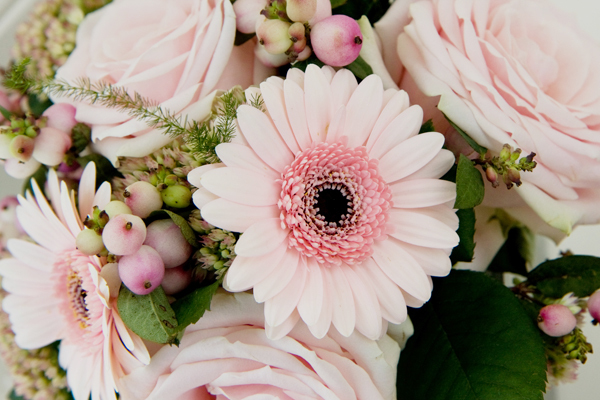 My bouquet had 25 pale pink roses with no foliage, and the bridesmaids had a smaller version of mine but in ivory. 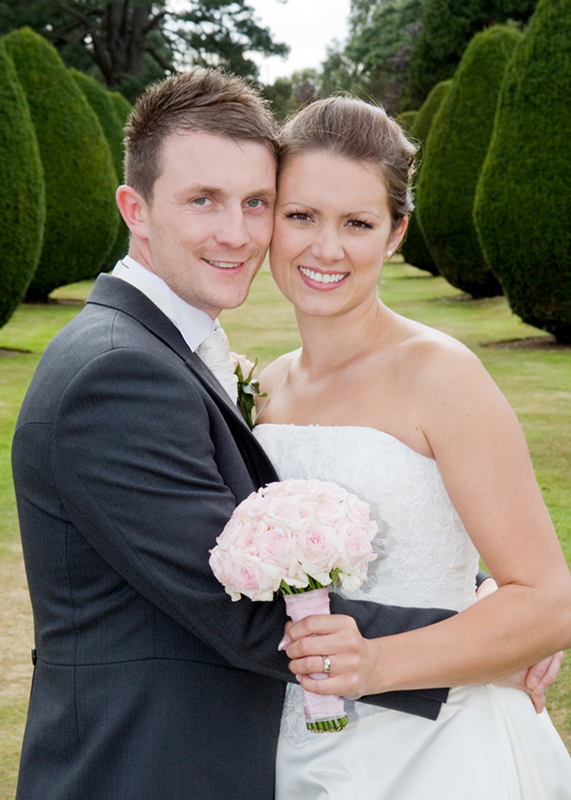 ‘Our first dance was to Lemar – Let’s stay together, originally sung by Al Green. ‘The whole day is a memorable moment for us. The whole day was perfect. ‘Enjoy every moment of your special day. Venue - The Elvetham, Hartley Wintney, Hampshire. Brides dress – The Bridal shop, Farnborough, Hampshire. Grooms suit – The Ivory Boutique, Farnham, Surrey. Flowers – Flutterby Flowers (Holly) Yataley, Hampshire.